The park covers an area of 253,780 hectares at an altitude ranging between 50 and 3,491 meters above sea level. It is the oldest park in Chile, having been created in 1926. The climate is wet with annual precipitation varying between 2,500 and 4,000 mm. The recommended time to visit the park is between December and March, when the average temperature is 16º C.
In the park you can visit the Saltos del Petrohué, a waterfall on the river of the same name which runs between volcanic rock formations. A number of signed trails start from this point. 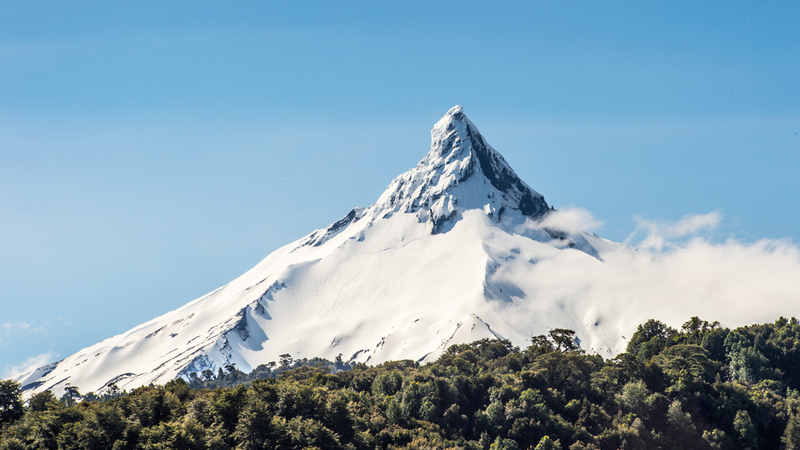 You can also see Volcán Osorno, Laguna Verde, Petrohué, Lago Todos Los Santos, Termas El Callao, Peulla, Volcán Puntiagudo and Volcán Tronador. Lago Todos Los Santos, which is also within the Parque Nacional Vicente Pérez Rosales, has a surface area of 175 km2 and is at an a altitude of 187 meters. There are a number of huts in the park, including the Centro de Esquí La Burbuja, where there is a hut for schools belonging to the municipality. There are also privately owned huts belonging to Club Teski, Club Los Pumas and Club Andino de Puerto Octay. To get to the park, take Ruta Internacional 225 Puerto Varas-Ensenada-Petrohué, a distance of 64 km, all paved, to get to Lago Todos Los Santos. If you want to take the ferry across the lake to Peulla, it is a voyage of 20 sea miles.